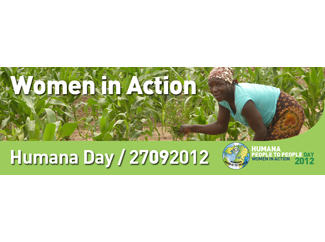 Humana Day is an initiative started by members in Europe to engage many people in the issues of development in the world. It is at the same time a celebration of the results that people can achieve through action to improve conditions for their fellow human beings. 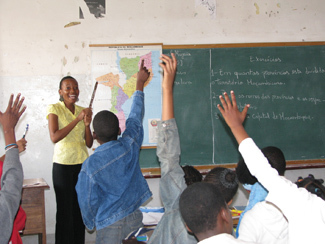 Humana Day 2012 will take place this September 27th in several European countries. The optimal utilization of the skills and capacities of women would result in improved societies around the globe. However, today Women work two-thirds of the world's working hours and produce half of the world's food. They represent 40% of the global labor force, 43% of the world’s agricultural labor force, and more than 50% of the world’s university students. Yet they earn only 10% of the world's income and own less than 1% of the world's property. On average, they earn half of what men earn. In Spain and Portugal, in line with the celebration of the twenty-fifth anniversary, the most important activities will take place on various dates during the month of September. L'Ametlla del Vallès (September 13), Valderrubio (September 17), Lisbon (September 24), and Leganes (September 27) will be the enclaves in which they made ? ?the usual open days and the delivery of the Textile Recycling Awards. To these are added other new among which a technical conference on the fate of all our products from donations deposited in the containers of clothes.